I’d like to thanks Lena whom I lent my camera. She took really nice shot that night. 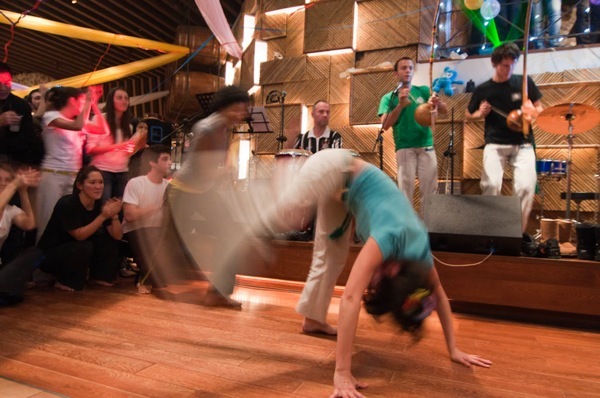 Looks like a classical Capoeira Mandinga Shanghai Party ! I guess you had a lot of fun, and it’s great to see new faces in the roda. I miss you loads and I keep training hard to beat you up next time I’m in Shanghai ! Axé ! No problem, Nico!! !it was fun and thanks for ur camera at that night!